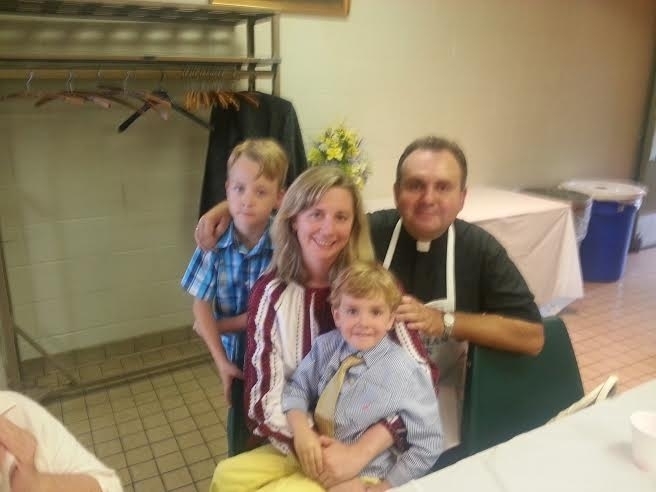 On 27 September 2015, St. Anne’s Ukrainian Catholic Church in Austintown, OH held its annual Ukrainian Festival. The celebration began at 12 pm with a prayer led by Father Lubomyr Zhybak, Administrator of St. Anne’s Church (and of Holy Trinity Church in Youngstown). 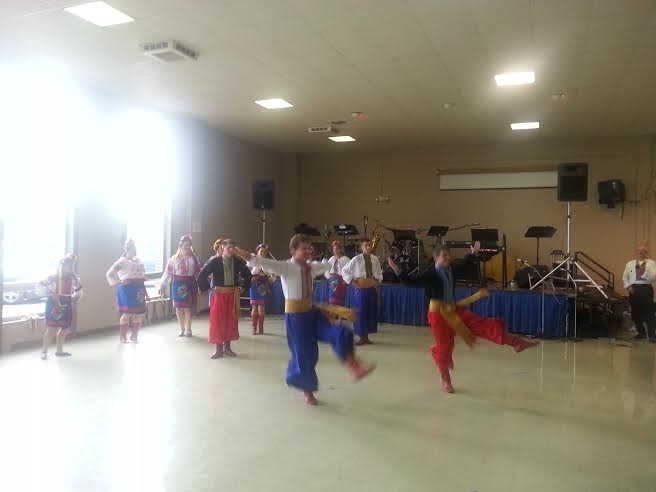 In addition to the delicious Ukrainian dishes, the festival’s guests were able to enjoy the Ukrainian and Slavic songs and music, performed by Jack Vasko Orchestra, Zaps Orchestra and Happy Hearts Tamburitzans as well as the traditional Ukrainian dances, performed by the local Youngstown area young dancers. There was also a baskets auction and raffles. The Head of the UGCC has discussed with the US Ambassador to Ukraine the socio-political and religious situation in our country. According to Fr. Lubomyr Zhybak, “At first glance, these types of events might look like simple celebrations of an ethnic heritage and culture, particularly in this case the Ukrainian one. However, when one spends time at the festival, intermingling with other people, suddenly one could begin to realize that there a certain ecumenical dimension to this event: Catholics, Orthodox and Protestants (and not only!) all sitting at the same table enjoying the food, talking to and dancing with each other, having forgotten about the differences that separate them, but vividly and perhaps even subconsciously expressing the qualities that unite them,” states the church’s pastor. “Without in any way trying to undermine the importance of the official ecumenical dialogue of the Church that seems to take place most of the time at the hierarchical level, I think it is namely at the grass-root level events like the local ethnic festivals that ecumenism could commence to take a concrete form without any hidden ecclesial or any other types of pretexts,” says Fr. Lubomyr. “All of a sudden ecumenism is no longer some distant unknown reality, but a concrete expression of the human heart’s desire for a dialogue with another person. And that’s exactly one of the ways how a parish can become a place of one’s encounter with the living Christ,” concluded the pastor. The next Ukrainian Festival at St. Anne’s Church in Austintown will take place on 25 September 2016.